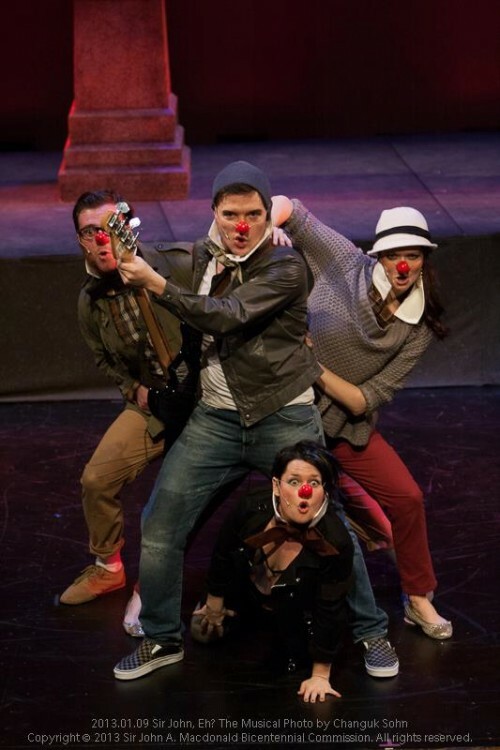 SALON Theatre Productions was originally founded in 1981 and incorporated as a Canadian charity on August 3, 1984. It was founded by Canadian theatre pioneer Jim Garrard, along with artists Ramsay King and Jonathan Barker. The original purpose of the organization was to encourage artistic exchange and the creation of new work by theatre practitioners in and around Toronto by holding theatre “Salons” in unconventional spaces such as homes and restaurants. SALON stayed true to these goals throughout its long life. 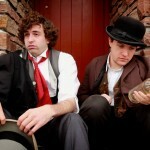 In 2009, the company, now based in Kingston, began to explore new creation based on Canadian history and heritage, particularly that of Kingston’s most famous resident, John A. Macdonald. 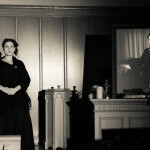 In August 2009, SALON conducted a one-week exploratory workshop at Queen’s, with nine recent graduates of our country’s premier training programs for young artists: the National Theatre School, Queen’s University Drama Department, the Sheridan College Musical Theatre Program and Ryerson Theatre School. The workshop included local talents, Anna Sudac, Matthew Donovan, Michelle Girouard and David Rockne Corrigan. 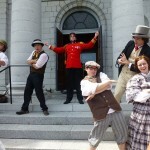 The workshop examined the successful 1990s Kingston Summer Festival musical co-production, Sir John, Eh, and began the process of creating a revised version, The Sir John A. Macdonald Back-From-the-Dead Concert Tour, later to be known as Sir John A. 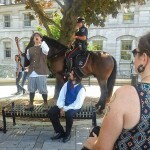 The Musical, and also forming the basis for our now celebrated historical/theatrical Walks In Sir John A’s Footsteps in the heart of downtown Kingston. 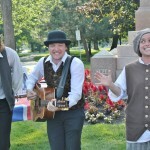 In the summer of 2010 this Kingston-centric historical musical was presented in an open-air setting at Boucher Park, as the centrepiece of the first season of the Macdonald Festival. 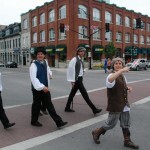 Other programming in 2010 included dramatic historical walking tours led by a new generation of Kingston actors, who also performed excerpts from the musical, adapted for children; a Canada Day picnic at Bellevue House with musical entertainment provided by the cast; and performances by the Barefoot Players. 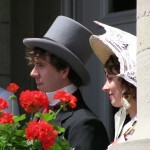 In 2011, the Festival moved to an indoor venue, St. Andrew’s Church, Sir John A. Macdonald’s former parish, where the title of the show was changed to Sir John, Eh? The Musical. Other partners and venues in 2011 included Bellevue House, which hosted afternoon tea with Sir John A.; The Agnes Etherington Art Centre, which put on an exhibition of Macdonald era art; and the Royal Tavern (formerly Grimason’s Tavern, a building once owned by Macdonald), which held an ‘election night’ kitchen party hosted by Mrs. Grimason. 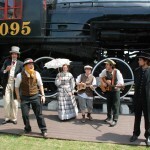 Rounding out the 2010 Festival was a Sir John A. Family Picnic on the St. Andrew’s Church grounds, and guided historical walking tours of downtown Kingston. By the end of 2010, the multi-year SirJohnA2015 project had been conceptualized, inspired by the success of Macdonald Festival. Seeing the potential for Macdonald’s bicentennial, now only 5 years away, the Department of Canadian Heritage signed on with 1.2 million dollars for 5 years. 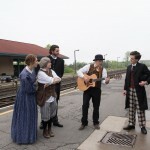 Each year from 2011 to 2014, SALON produced various programs, here in Kingston, and across Canada aboard VIA trains that raised awareness of the life and legacy of Macdonald. 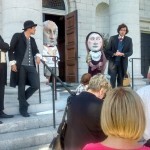 We employed actors, directors, designers and arts administrators from the City, often constituting the single largest artistic employer in Kingston. Our theatrical Walks have been lauded and celebrated, our VIA tours have played an amazing ambassadorial role for Kingston’s arts and heritage community, and we have educated and entertained young and old in schools, shopping malls, the streets and the theatres of Kingston. 2015, Macdonald’s Bicentennial and SirJohnA2015’s ground zero started with a bang. In January, Macdonald Week brought the eyes of the country to Kingston as the town lit up with activity, despite the frigid weather. The SALON team produced an entire week of Macdonald programming with many partners and fellow artists, authors, academics, and public figures. We were lauded nationally for using the arts and theatre to facilitate a balanced conversation about Macdonald of Kingston, warts and all. In March of this year, SALON welcomed its first new artistic director as Jim Garrard, the company’s founder and leader for more than 30 years took his retirement. Under the inspired leadership of artistic director, Queen’s graduate, Paul Dyck, and general manager and 25-year theatre veteran Lowell Gasoi, the team set about wrapping SirJohn2015, and recreating a new chapter for SALON. 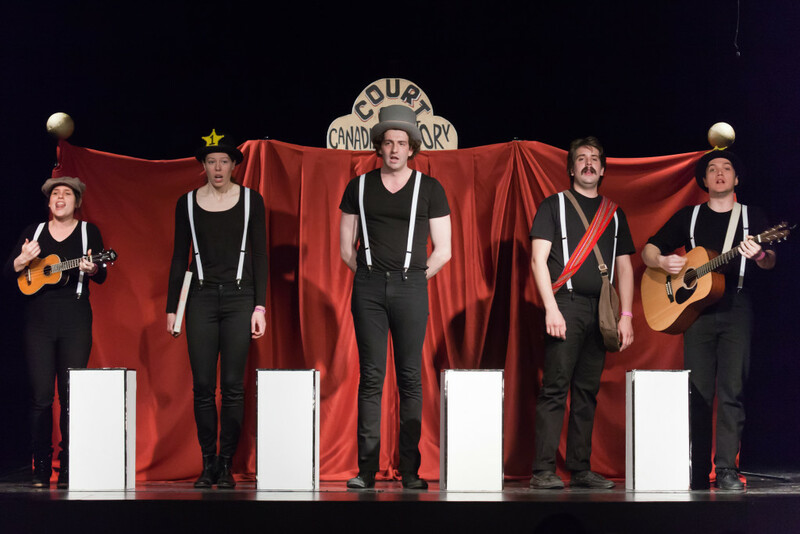 In April and May, the actors toured schools and community venues from Halifax to Victoria with The Trial of Sir John A.The show, which aimed to give young Canadians a chance to think through some of the most complicated aspects of Macdonald’s legacy, was extremely well received. Children from around the country proved with each show that they could understand and maintain complicated views of historical figures.